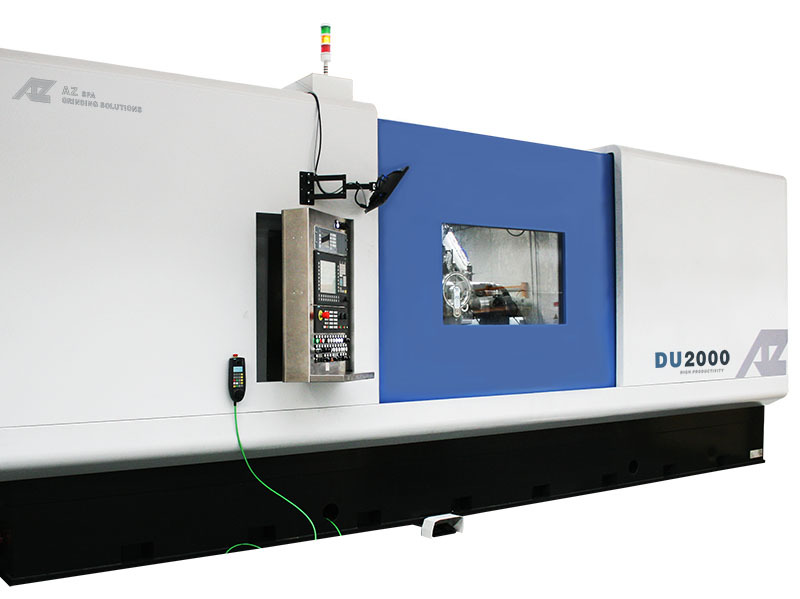 AZ RU universal grinding machines are high performance machines designed for customers who have to work with high precision tolerances. Constructive features are projected to ensure maximum machine stability during all the process phases. Thanks to a wide combination of wheelhead spindles, different types of machining can be integrated in a single clamping: external, internal, shoulder, face and taper grinding. The grinding process is constantly monitored thanks to high-level and last-generation measurement and controls systems. 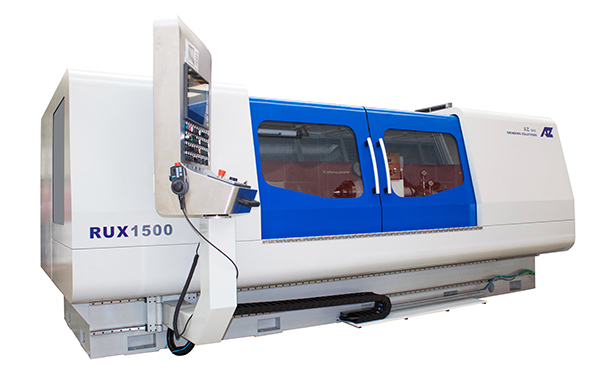 The RU machines range meets the requests of a wide range of industries: aerospace, railways, automotive, energy, precision mechanical components. For the automotive industry for high productivity - Unbelievable cycle time and precision, the most update technology for clamping and measuring - two indipendent grinding wheel carriages that move simoultaneously. Machine for the automotive industry for high productivity. Unbelievable cycle time and precision, the most update technology for clamping and measuring. The machine can have two indipendent grinding wheel carriages that move simoultaneously this is the best solutions for high productivity. RUG Universal grinding machine for internal and external diameters. 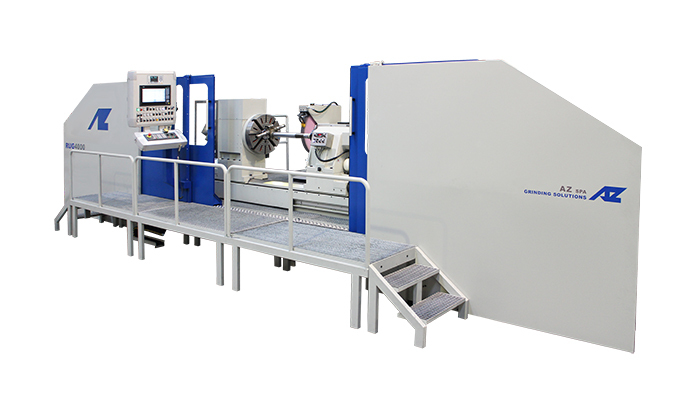 Ideal machine for high demanding sectors: aerospace, automotive, railway, printing industry, cold mills, industrial vehicles, spindles for mechanical engineering applications. Wide range of wheelhead configurations, different models with moving wheelhead or moving table, partial or total guarding. Gap bed option. One set up OD & ID orbital grinding. Designed to grind heavy duty asymmetrical landing gear - a rotary table that allow grinding all side of component without workpiece displacing. Recognized by the major landing gear OEMs and MROs throughout the world. For maintenance and manufacture of crankshafts. 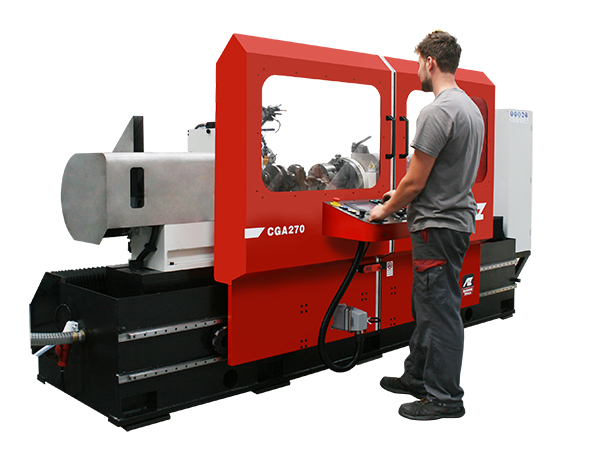 New system with grinding wheel moving on the base that permits to reduce the overall machine dimensions. Multiple working functions. Wheel balancing system, touch probe for workpiece positioning, gap control system and in-process measurement. Universal grinding machines for grinding wheel grinding. CNC Control system, touch probe for workpiece positioning, wheel balancing system, automatic wheel dresser, gap control, crash control, dressing control. The machine moves the grinding head. The workpiece is clamped by headstock fixed on the base and tailstock moving on table support by air. Grinding wheel carriage is movable on Z and X axes by ballscrew and guideways. This solution with grinding wheel moving permit to reduce the overhall machine dimensions. From small to large, New OEM to Remanufactured Parts, Manual to CNC, Centered to Orbital, we fabricate the world leading technology in grinding equipment. 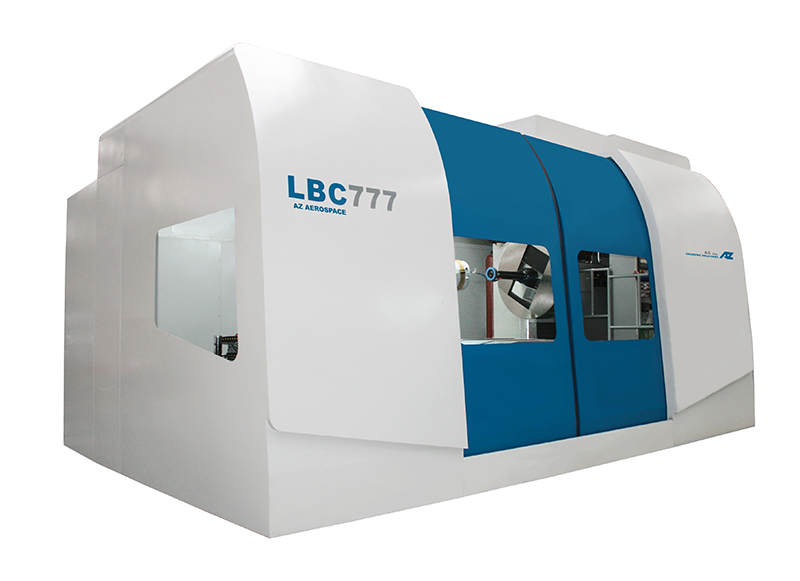 We specialize and dominate the market in multi-axis, ID to OD same machine grinding, and one of a kind custom solutions.